George Sapounidis has returned to Canada after a multiple city performance tour in Beijing, Yichang, Nanjing and Wuhan. 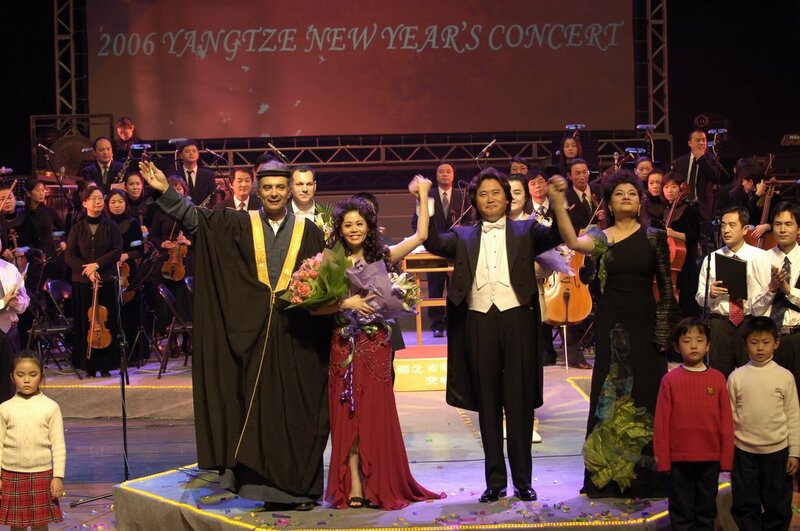 On January 3 he took part in the 2006 Yangtze New Year’s Concert in Wuhan, Hubei province where he sang ‘Ganlan Shu’ and ‘Hong Hu Shui Lang da Lang’ accompanied by the Hubei Opera and Dance Orchestra lead by Yang Yang one of China’s top conductors. He sang a duet in English and Arabic with Chinese female singer Yu Yizi and performed classical guitar for a duet between Yu Yizi and Yang Zhan. The concert featured China’s reknowned opera singers Yao Hong and Dai Yuqiang who has performed with Pavarotti. Jeremy Moyer also appeared with Sapounidis in the concert which was filmed by Wuhan Television. 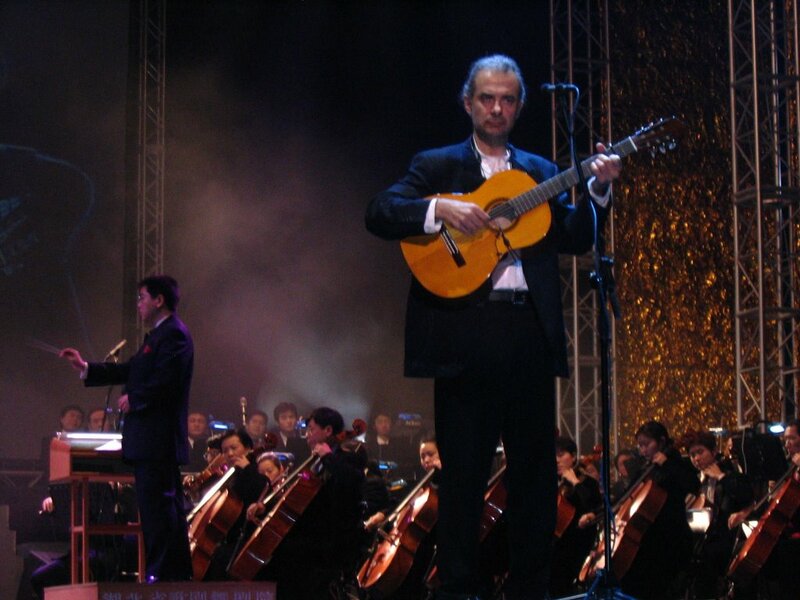 In September 2005 Sapounidis represented Greece at the ‘Yichang International Tourism Festival’ where he performed songs in Greek and Chinese with guitar and bouzouki. He appeared with Scottish harpist and singer Katie Targett-Adams in a double bill performance at the prestigious Forbidden City Concert Hall in Beijing on October 14. He performed duets with Chinese singers Liu Xiang and Gao Dongling and was accompanied by Zhou Ying on violin and the ‘Musicat’ ensemble. at People’s University in Beijing to give a series of Olympic volunteering lectures and musical performances. These took place in the Gaobeidian municipality, People’s University Professional Training Centre, Beijing Capital Library, Beijing Concord College of Sino-Canada and for the Chaoyang district administration. He gave interviews and performed for China Radio International three times and appeared on Beijing People’s nightly live talk radio show. Sapounidis’ CD ‘George from Athens to Beijing’ was nominated for Best World Music in Canada in 2005. He is also the star of the BBC / CTV television documentary CHAIRMAN GEORGE produced by EyeSteelFilm. Mason International Culture Exchange Co. Ltd. This entry was posted on January 26, 2006 by George.